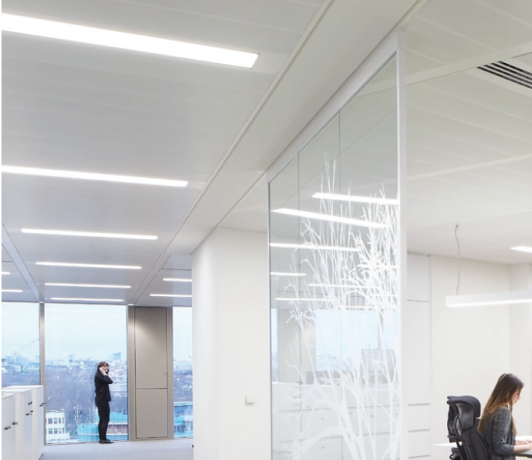 A profile suspended ceiling, the system is available in a tartan or linear grid form, suitable for any building module. 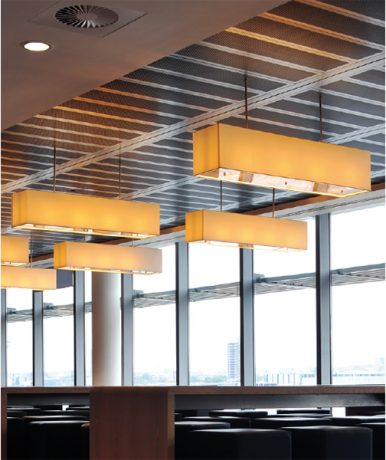 Ceiling tiles can be of any shape, in up to 3m lengths and available in a variety of finishes. The design flexibility of SAS330 allows for complete void access and total service integration. 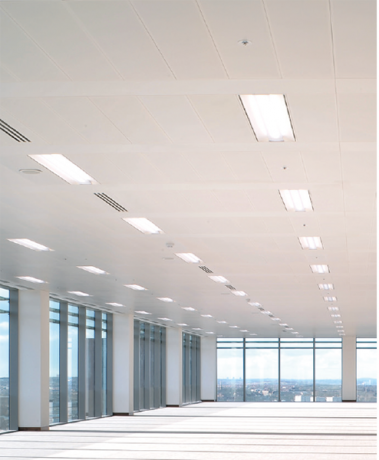 Alternatively, we offer a flush, plain C-Profile for a clean, purist aesthetic. Either profile has the option of a gasket to aid precision, uniform installation. SAS330 tiles can be supplied with any standard SAS perforation pattern.